Small or medium sized enterprises with products that require face to face selling to other businesses. Engineering/ Industrial products, manufacturing industries, Bio Tech etc. Grow relationships, manage schedules, collaborate in teams, start selling! 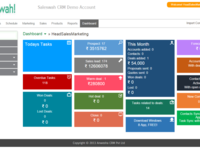 Saleswah CRM is a web based, mobile enabled software that enables your sales and marketing team for growth- no matter how big or small. Use the Desktop App to sync contacts and calendar with Office 365 for business Schedule tasks and appointments, send proposals and quotes, track sales. 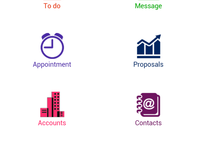 Integrated with Google- keep your Contacts, Appointments and Tasks synced. Monitor progress in dashboards. 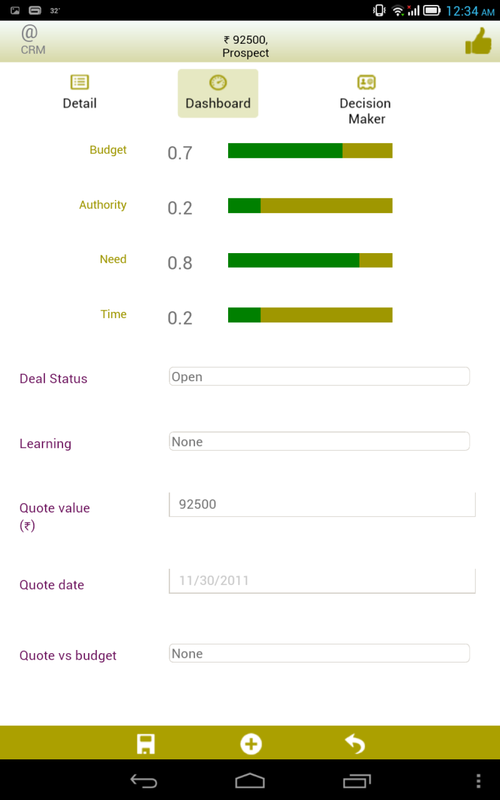 Saleswah CRM Reviews Recently Reviewed! Pros: The system is fairly easy to implement and use however it does have some significant limitations. Saleswah isn't ready for primetime yet especially for enterprise wide users. However it does have some major advantages over existing systems as it is easy to use and easy to implement. For me it was easy to implement for a single users and the customer service to customize was GREAT! The system is simple to learn and task require very few keystrokes. It was perfect for a simple 1 - 5 man implementation. 1.) Workflow should be customizable by administrator. ie. do they wish to start with leads, quotes, deals etc. 2.) Which fields require input and which fields are viewable or editable. 3.) Should be able to define all fields and all drop down select menus on all fields. One of the limitations that will hurt in attracting large enterprise users is that I did not see any tools to intergrate the system with internal company systems such as SAP. Overall: I truly thought the support was great and hope they do well in the future. They are a great alternative to the large and complicated systems such as Salesforce or Microsoft. However I do see a lot of needed development before they can attract large companies. They will do well if there target is smaller users. Thank you for the detailed review and especially pointing out the areas to improve upon. 1. Implementing User definable Fields for the main modules of Account, Contact, Leads and Deals. Cons: Though the dashboards are good, I feel that there should be some customization that could be provided. Overall: Tracking Sales and Marketing activities of the company. Customer contacts and communication. 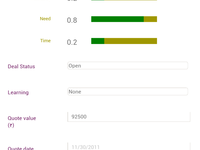 We are working to provide more user control over the dashboards and reports. Based on your feedback we are revamping the next phase of service CRM development and offering a lot more flexibility to users and admins. 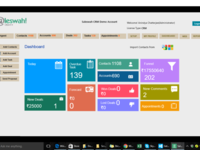 Pros: The Dash Board system of the Product is very speciffic & useful to garner info of all the data. Cons: all the features of this software are exceptional,there is everything for the each & every querry. Overall: We are getting the first hand info frm the visit done by ours executive as well as it done. As far as customization is concerned, we have User Defined Fields in our product roadmap for both the sales and service product. You should see changes coming very soon. 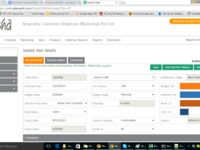 Overall: IT WAS AWESOME EXPERIENCE WITH SALESWAH CRM AND WOULD LIKE TO RECOMMEND TO ALL CORPORATE PROFESSIONALS. We would like to touch base regarding your specific problem. Pros: Easy to use, look and feel of software. Cons: more customization can be done. In mobile application multiple project activity required. 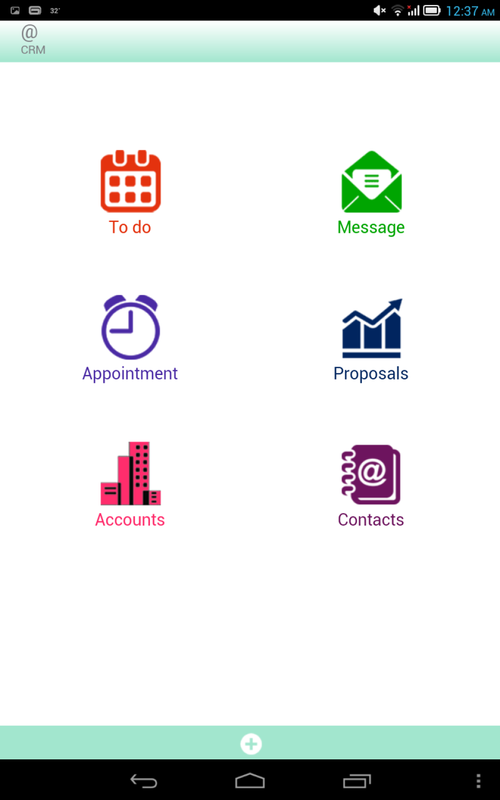 We are revamping the service CRM mobile app and we will be in touch to seek your inputs. Overall: Asset Management, Productivity of service staff. thank you for your valuable feedback and comments. we are working on totally revamping the analysis and report generation section with a view to providing more fexibility to the users. Cons: Still looking for it . 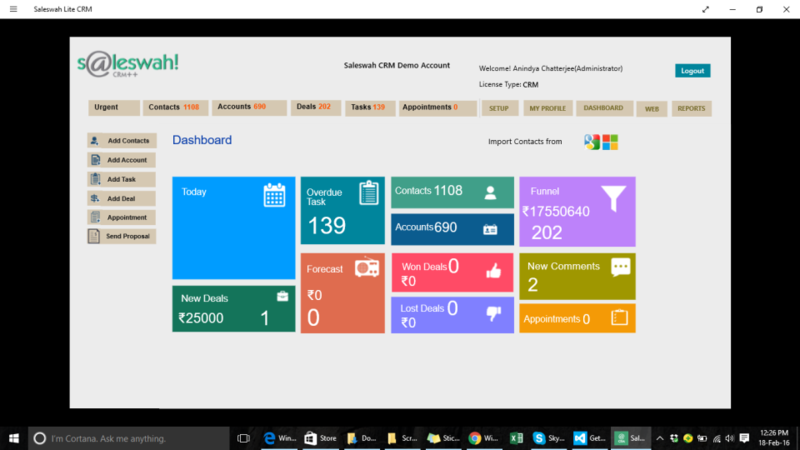 Overall usage and CRM UI has been good. Overall experience of Saleswah has been good. Mobile app saleswah easly handling by sales agent. All filling activities is in easy mode understanding. slowly. Software has database issue. 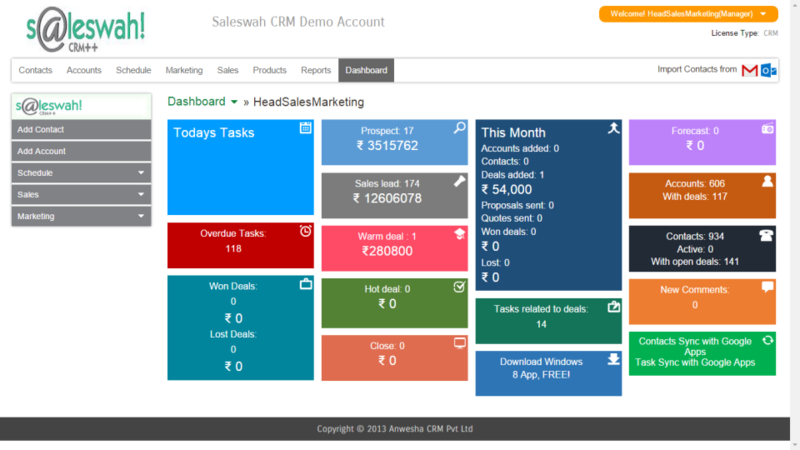 Overall: Overall good experience with saleswah CRM. I get sometimes problem that time support team help me. Software has to operate easy to anyone, no require advance training. Great online resource to manage sales leads. Cons: More option needs to updated like to make it more efficient..
Cons: In this CRM this is the bugs i can say, its can take duplicate entries, and some of the times when we are adding the leads the error popup EXCEPTION "something went wrong unable to save the data please report to, accountsservices@saleswah.com. It is very time consuming to do the entry again. 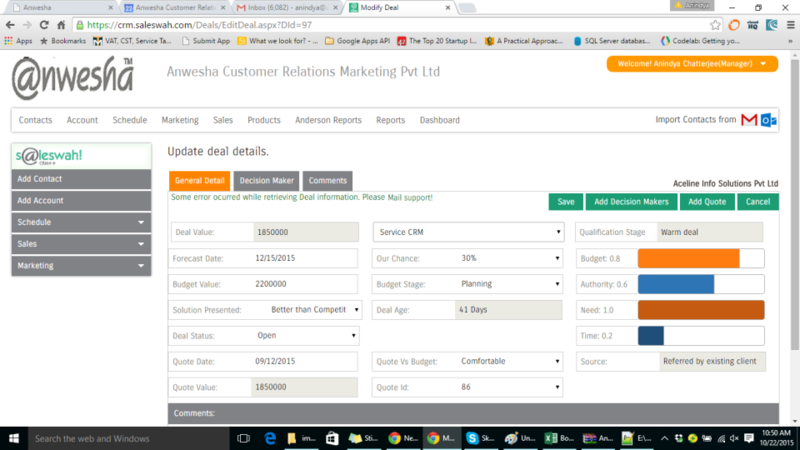 Overall: With this CRM we can say we are reaching to the client on committed date and time, with this its very easy to follow each and every client on time, this CRM is playing most important roll in followups. We shall have someone reach out to you to better understand the issue and see if we can recreate it at our end. Pros: Easy to start working on it with lot of help available. Cons: Takes lot of time in step by step process. Overall: Very good and have value for money.